English: Goldfinch; French: Chardonneret élégant; German: Stieglitz; Spanish: Jilguero Europeo. European goldfinches are 5-6 in (13-15 cm) in body length. They have a sharply pointed beak, and a forked tail. The back is colored dark olive-brown, the wings are black with a yellow patch, the tail black, the belly whitish, and the face is red, bordered with white and black. Females are olive-brown with yellow highlights and darker wings and tail. 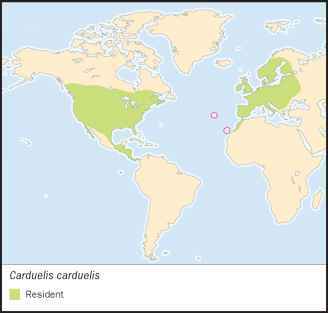 European goldfinches range over almost all of Europe, the Azores, the Canary Islands, and as far east as western Russia. They have also been introduced to a few places in the United States, Central America, and Australasia, where they survive in urbanized areas. European goldfinches inhabit open woodlands, shrubby areas, orchards, parks and gardens, and well-vegetated cultivated areas. spending the winter in southern reaches. It is a highly social bird, particularly during the non-breeding season when it occurs in flocks, often with other finches. The courtship and territorial displays include aerial maneuvers and singing by the male. The song is a high-pitched twittering, and there are also distinctive call notes. They often position and hold food using their toes. The European goldfinch feeds on small seeds and grains, particularly favoring species in the aster family, such as dandelions, thistles, burdock, lettuce, and sunflowers. The young are fed partly with insects. The European goldfinch builds a small, neat, cup-shaped nest of woven grass, moss, and lichens. 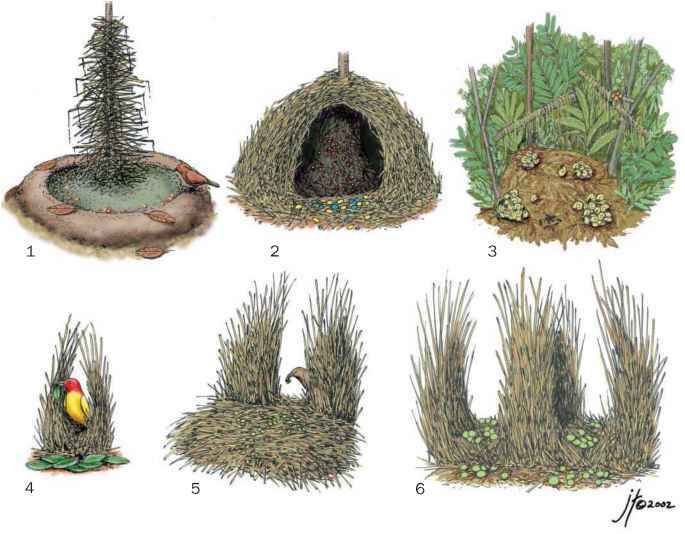 Typically, the nest is positioned at the end of a small branch in an open-grown tree or shrub. They breed twice or sometimes three times each year, with each clutch consisting of four to five eggs. In general, relatively warm, dry summers result in greater reproductive success than those with cool, wet weather. Not threatened. The European goldfinch suffered widespread population declines over parts of its range during the 1800s because of uncontrolled live-trapping for the commercial pet trade. Their population has since recovered, however, and they are now a widespread and abundant species.